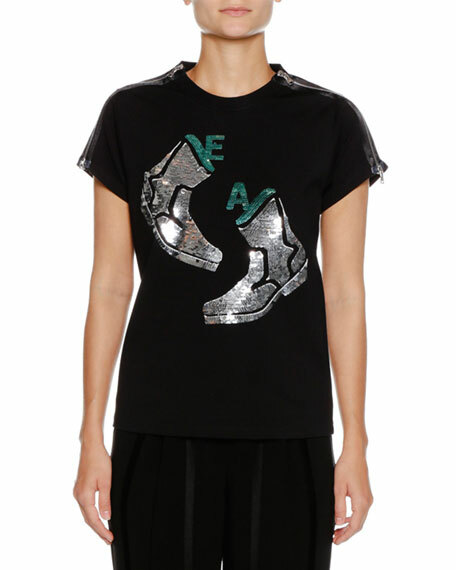 Emporio Armani jersey top with sequin embroidered boots and EA logo. 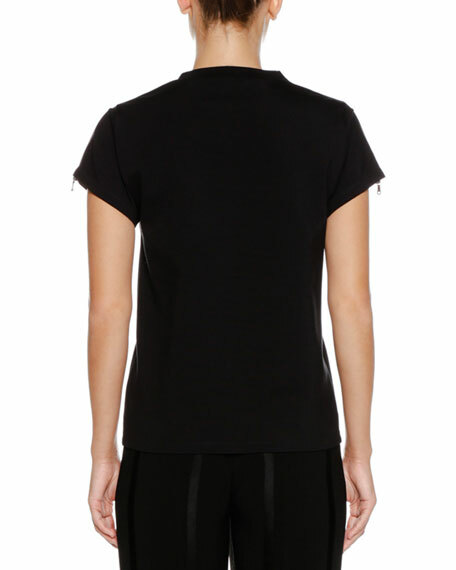 Short sleeves with zipper detail. 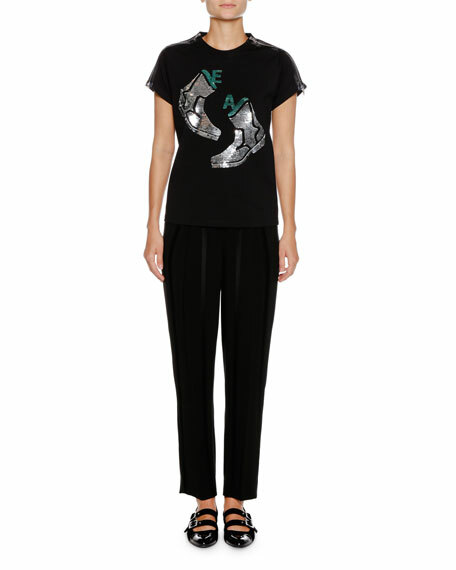 For in-store inquiries, use sku #2665390.